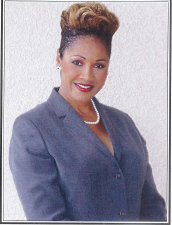 Sabrina Samuels, is the owner of The Beckman Company Finishing School, since 1981. Sabrina's business teaches self-esteem, poise, etiquette, protocol, and social grace to teen girls and Image Enhancement to adult women. Sabrina Samuels is a motivational speaker, and has spoken at major conferences with celebrities such as Dr. Joyce Brothers, Actress, Debbie Reynolds, and Attorney, Marcia Clarke. Sabrina focuses on individuals and organizations in teaching young ladies between the ages of 10 to 21 years old. Ms. Sabrina travels allover the country teaching an extensive Weekend Program to young ladies. She also does intensive Image Enhancement and Business Protocol workshops for organizations, business, agencies, schools, colleges, group, etc. All programs can be taught in group and one on one sessions. Sabrina hosted her own television show on local cable in the San Francisco Bay Area for over twelve years before moving to Florida with her husband. Her talk show format inspires her viewers and she is working on syndicating her show. Sabrina is also continuing her modeling career. She has landed print ads with Macy's Woman, Yahoo, Compaq Computers, JC Penney, Gottschalks, and Bank of America, to name a few. Sabrina gives thanks to God for all of her accomplishments in life. course of the full program, which includes the Tiffany setting, the most formal table setting there is; a field trip an upscale department store where they actually put together a wardrobe. The older young ladies go the business section, so are expose to business attire for an interview, then to haute couture section so that they can see a $5000-$6000 garment and how it's made. As a bonus, at the end of the program, a grand formal designer fashion show will be given for family members and friends to formally introduce your beloved young lady to society. Television Program Executives (NATPE). For more a decade, Mrs. Samuels has been the host and Executive Producer of The Sabrina Samuels Show televsion talk show, seen in Oakland, Piedmont, Emeryville and Montclair, Sundays evening from 7-7:30 p.m. on TCI Cable Oakland 26, as well as seen in Richardmond, Berkeley, ElCerrito, Hercules and El Sobrante every Sunday evening at 9-9:30 p.m. on TCI Bay Vision Channel 26.
and scientist after whom a middle school is named in Gary. Mrs. Samuels is a certified in many areas of competence, namely Job-seeking/Changing Skills, Self-Awareness and Personal Assessment. Contact this speaker for your next event .